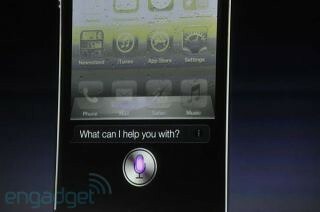 Siri, the new virtual assistant installed in every iPhone 4S, is a technical wonder. Powered by vocal commands, users can verbally ask their device questions and request specific tasks, and Siri obeys their every word. Ask, "What's the weather like in Phoenix?" and Siri spits back a forecast. Request a reminder to call your wife when you leave work, and Siri's right on top of that. But should Siri begin to sound like GLaDOS -- the malevolent, yet even-tempered AI villain in the Portal series -- then it's time to grab your Companion Cube and run! In this parody video, Siri is replaced with GLaDOS and suddenly, the users' tasks, questions, and life become utterly insignificant. Their weight, however, is subject to much mockery.